I live in Barnes, southwest London and have two sons who inspired me to write when they were younger. My six children's books span from Reception up to Year 4 (scroll to the bottom of the page to see the covers and read synopses). I regularly go into primary and prep schools in London and am available to visit schools outside of the London area where time and school budgets allow. As well as writing for children I’ve written for business and government) for over 20 years – as a plain English copywriter, writing trainer and strategic web content consultant. Important and impressive as that may sound, I far prefer making up stories and meeting my young readers and I now focus on this almost entirely! My previous life: In my early career I was teacher and Director of Studies in an English Language School in London. I have also lived and worked in New York and Oslo and speak French and Norwegian (oh, and American!). I offer readings and an author talk (including fun slides) and Q&A, as well as the option of curriculum related writing workshops. See below for how I pitch these from Reception up to Year 4. I then have a more general talk on writing and publishing in the digital age for Years 5 and 6. 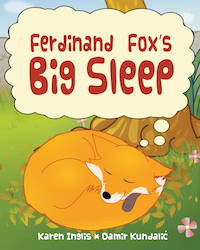 Ferdinand Fox's Big Sleep is a fun, colourful rhyming picture book based on the true story of a fox that once fell asleep in my garden. The session includes a rhyming warm-up and lots of fox and favourite food discussion! 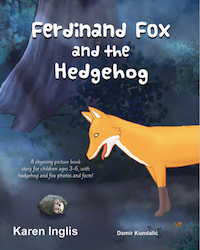 Ferdinand Fox and the Hedgehog, another gentle rhyming story, introduces Hatty the hedgehog and her baby son, Ed, who meets Ferdinand when he is playing out on his own one night. To ensure that everyone can see, I use a Powerpoint of the book pages. The slides also include a short video of a real fox that fell asleep in a friend's garden and strongly resembles Ferdinand! I also have live footage of a hedgehog returning from a food forage one evening. There are downloadable colouring sheets as a follow-on activity as well as tips on how to draw your own fox. This is a fun illustrated chapter book about 10-year-old Henry who falls inside his library book after complaining that it's boring. 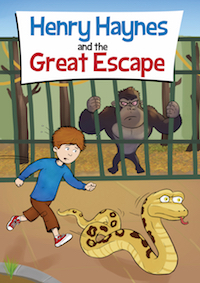 Henry soon finds himself caught up in a zoo escape plan being managed by Brian, a bossy boa constrictor, and Gordon, an extremely smelly gorilla...! 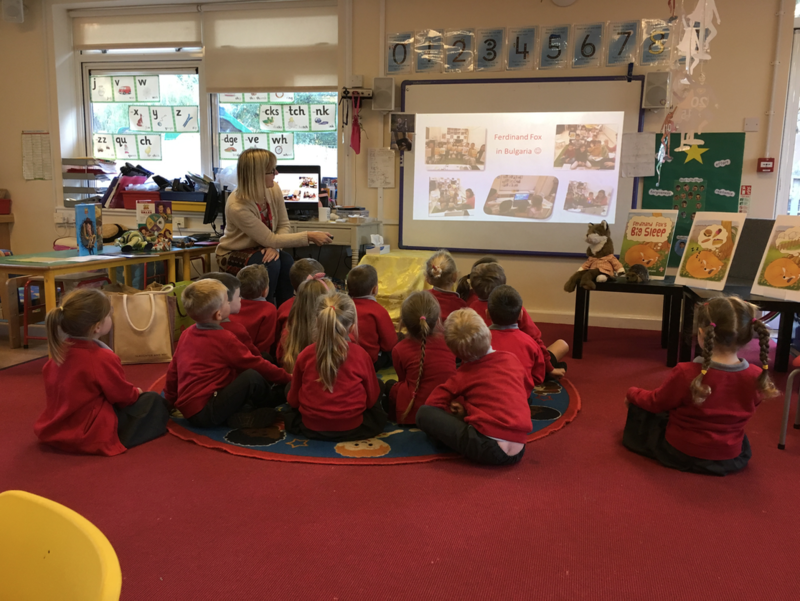 The story starts out in a library so (after introductions) I open the session by asking the children about libraries and librarians they know. We also talk about how magical it is to get lost in a story - and about whether anyone has ever wanted to become part of the story they were reading. I then introduce the book and give a 10-15 minute reading. This is followed by questions from the children about being a writer, how I get my ideas, my other books and so on. 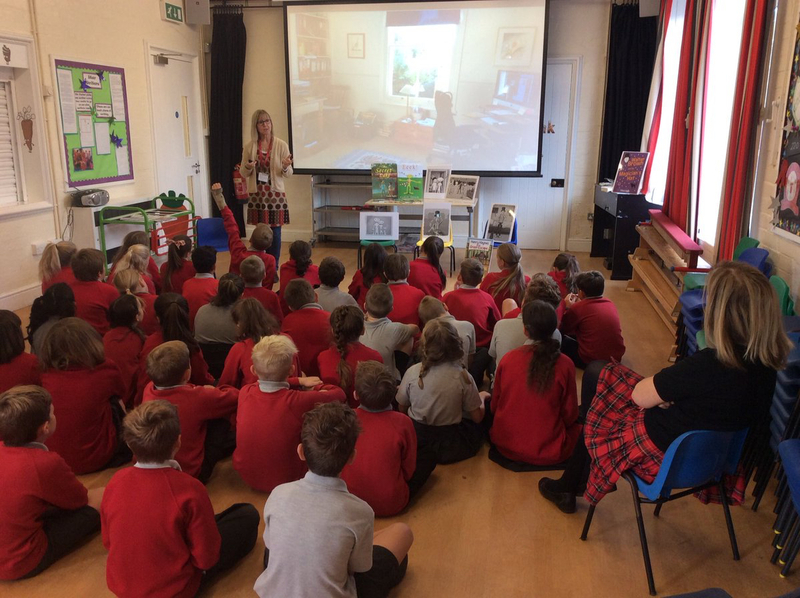 As part of the Q&A I show the children how I work with my illustrator who lives in Bosnia - from rough drafts through to final images that go into the books. They always find this fascinating - and everyone loves Brian the boa with the cage keys stuck down his throat, which he then burps up for Henry to release the lions! Where time allows I can also offer a simple workshop where the children can brainstorm and write their own descriptions of the key story characters, then choose and draw their favourite. I am happy to see Year groups individually or combined, depending on the class sizes and number of intakes. Ideally I'd aim to keep groups to around 60 at most but I have presented to double that! After introductions I ask the children about their reading habits and what they think makes a good story. I go on to briefly talk about the inspiration for all three books, then focus on one or two for readings. The book/s I choose for the readings depends either on a show of hands from the audience or on whether the teacher would like a particular book or books covered to tie in with other school work/ themes. The Q&A session for these year groups tends to go on longer and during this time I show the children slides and a video demonstrating how I work with my illustrator and editor. 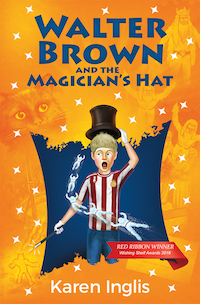 In particular, for Walter Brown and the Magician's Hat I have a fun series of slides showing how the story went from first idea to finished product, highlighting some of the key changes that took place along the way to improve the characters and storyline. My slides are set up so that I can tailor what I cover to meet the audience's age, questions and interests. 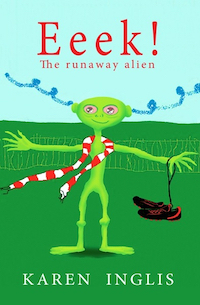 I can also offer curriculum based writing workshops using extracts and illustrations from Eeek! and The Secret Lake as my starting points . The emphasis is certainly on fun for the younger pupils using Eeek! - moving towards more structured creative writing using The Secret Lake for years 3 and 4. In all cases the aim it to show the children how we can use words to paint a picture in the reader's mind. Workshops are for single classes and I take feedback on overall ability in advance. Or I can offer the author talks described above then leave the teacher full teaching plans for these sessions. 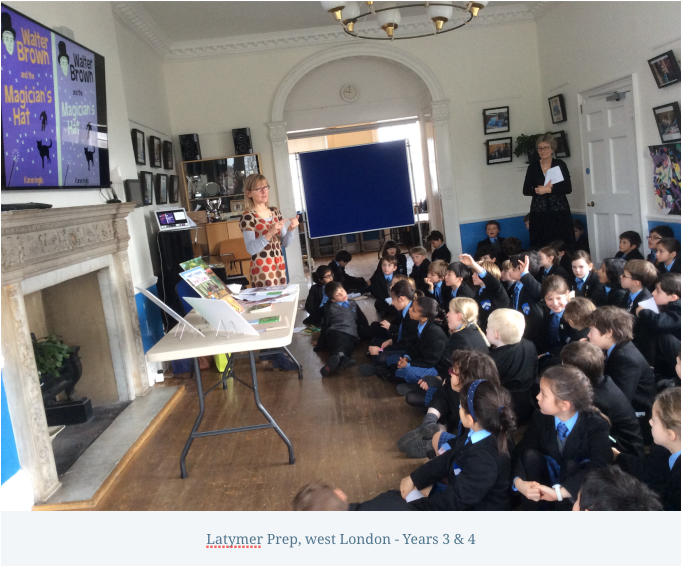 For Years 5 and 6 I can also offer a more general talk on the creative writing process and how exciting it is to be a writer in our new digital age.This includes looking at the different writing styles in my books (first vs third person - how and why I've used them) and demonstrating the power of 'show don't tell' in writing. I also cover working with my editor - and all the hard work that goes into rewriting! Finally, I round off with a set of funs slides that show ‘how books get made’ digitally, including formatting for print and eBook and uploading to Amazon and other platforms where author publishers are able to track sales online. 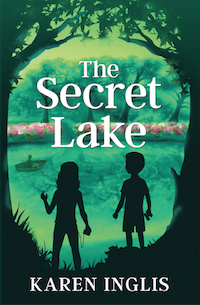 My books for ages 6-11 have been praised for getting the most reluctant of readers turning the page and The Secret Lake hit the Amazon UK bestseller lists in June 2018. When Ferdinand Fox meets Edmond the baby hedgehog playing out alone one night, little Ed shrieks and curls into a tight prickly ball. He thinks the fox will eat him! But Ed soon realises that he is safe, and has just met a very special fox. Includes 8 fun pages of hedgehog and fox photos and facts.